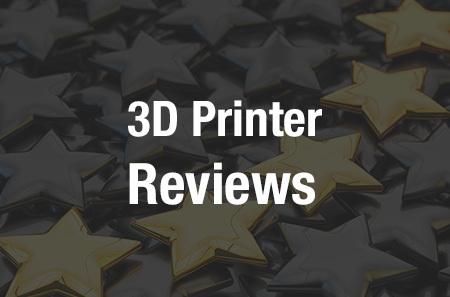 An understandable first impression to make about Divergent 3D is that they’re a flashy company – it’s impossible not to be wowed by the shine and style of their most well-known accomplishments, the 3D printed Blade supercar and Dagger superbike. Underneath the glitter, though, is an organization with serious grit and business sense. We’ve learned a lot over the last year about Divergent 3D’s Divergent Manufacturing Platform, which aims to make automotive manufacturing faster, cheaper, and more environmentally friendly, and the company has repeatedly shown its determination to drive (no pun intended) the technology forward through a plethora of recent partnerships and funding. Divergent 3D’s latest partnership comes courtesy of SLM Solutions Group, manufacturer of the formidable Selective Laser Melting Machine series. The company will work closely with Divergent 3D to develop tailored hardware and software to accelerate the scaling up of the Divergent Manufacturing Platform for high-volume production. While 3D printing is becoming a commonly employed technology in the automotive industry, most manufacturers are focused on the printing of individual components and prototypes. Divergent 3D’s intent is to use 3D printing to overhaul the entire automobile design and manufacturing process. SLM Solutions is another business-savvy company that made headlines last year when they rejected GE’s attempt at acquisition on the grounds of unsatisfactory terms. GE moved on, pursuing other companies more successfully, and SLM Solutions has continued to do what they do best – develop cutting-edge metal 3D printing technologies. Despite their rejection of GE, SLM Solutions is by no means a lone wolf type of company, and has clearly found Divergent 3D to be a worthy collaborator. In addition to their metal 3D printers, SLM Solutions also produces several metal powders as well as a melt pool monitoring solution. Their materials include titanium, tool and stainless steel, aluminum, cobalt chrome, and nickel based alloys. Both companies expect to see significant revenue growth and commercial development of their technologies come from the partnership. The rest of the world, meanwhile, can look forward to potentially seeing Divergent 3D’s lightweight, safe, environmentally friendly automobiles on the road sooner. Discuss in the Divergent 3D forum at 3DPB.com.